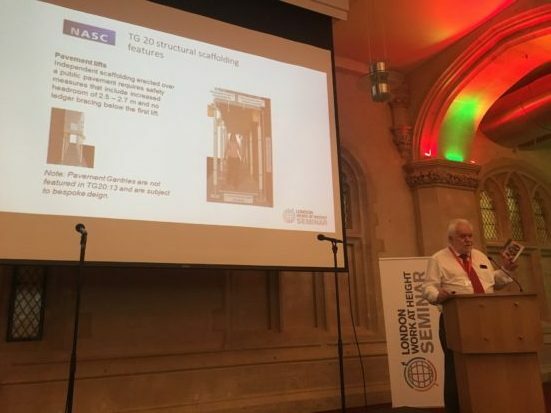 The NASC took part in the London Work At Height Seminar 2017 at the City of London’s prestigious Guildhall on Monday July 10th – presenting on developments within the scaffolding and access sector, and recently published guidance, to a substantial gathering of industry professionals. The event is largely aimed at Local Government Authorities, Procurement Professionals, Health & Safety Professionals, Building & Facilities Managers and all other professionals who have an interest in work at height within the City of London and beyond. In addition to the NASC’s presentation, and those of similar trade bodies and organisations, such as the Access Industry Form (of which NASC are members), there were noteworthy presentations from the City of London Corporation, with Jeremy Simons and Toby Thorp speaking on safe working at height within the city. Also the Health & Safety Executive (HSE) represented at the event by Ray Cooke (Head of Construction Sector Safety Unit), with Paul Bussey, a Technical Consultant for Allford Hall Monaghan Morris the second guest speaker. Meanwhile, out in the ‘Courtyard’ area of the Guildhall, there were demonstrations of work at height equipment in use. NASC Technical Officer, Ken Johnson, who presented at the event on behalf of the confederation said: “It’s been another tremendous gathering of industry minds, with a lot of very useful information disseminated and great positivity about successful safe working practices within the industry. The NASC has introduced a state-of-the-art online membership application system – streamlining the process for full membership applications for potential new members. This online process has been developed by London-based website technicians, Deep (responsible for creating the new-look NASC website) and makes it simpler for scaffolding firms to apply for full membership of the 240+ strong confederation – bringing the organisation into line with other similar pre-qualification membership audit systems. 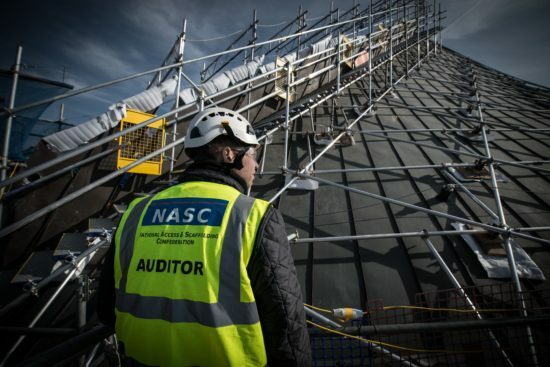 NASC President, Alan Lilley of Commercial Scaffolding Ltd said: “NASC have pursued the online application/membership process to simplify the desktop application and annual audit procedure along with the site audit (which is undertaken every two years). “All the information required for the audit will be uploaded to the NASC portal a month prior to the site audit – allowing our auditors more time to carry out site audits, which is a time-consuming process. The new online system will also replace the two-yearly self-certification, which is currently required to be completed by our members. “Once the first online information is completed it will be a simple exercise to amend the details and maintain each year. The records will be stored electronically by the NASC – thereby removing the need to store paper files, as is the current arrangement. In order to cope with the influx of current membership applications and efficiently manage the new online portal, NASC has taken on an extra member of staff, Stephen Allen-Tidy, an IOSH qualified Health and Safety Advisor, who will be responsible for assessing and verifying the information when it is uploaded onto the new membership application section of the website. And the confederation has also taken on two new NASC auditors, James Brierley and Craig Penketh, to cope with the additional demands of the expanding NASC membership. NASC Audit Committee Chairman, Mel Archer of Archway Services Plc said: “Auditing our members has become more efficient with the introduction of the online application form. Enrolling new contracting membership applications digitally should mean that a new applicant will have quicker access to full membership of the NASC. CISRS Continuing Professional Development (CPD) courses are now live – making it a mandatory requirement to attend a two-day course at an approved training provider prior to scaffolder or advanced scaffolder card renewal. The CPD course was formally announced in June 2016, giving the industry over 12 months notice prior to the commencement date. This was following lengthy discussions within the scaffolding sector and extensive correspondence with the HSE who pushed hard for what they felt was an omission to an otherwise very robust training scheme servicing a safety critical sector. CISRS training has been around in one form or another for over 40 years. It was felt that it was time to bring it in line with other safety critical sectors and introduce a refresher element. “HSE Inspectors come across scaffolders on site who are not up to date on current accepted practices with respect to safe erection and dismantling of scaffolding. This is an issue that is easily resolved through CPD and HSE welcomes the introduction of this into the CISRS scheme. This brings the scheme into line with many other construction trades and it will have a very positive effect, particularly for those who may not have received any formal training in many years. It should help employers demonstrate that their operatives have the necessary skills, knowledge and experience to fulfil their duties under the Construction Design and Management Regulations 2015,” said Ray Cooke Head of Construction Sector Safety Unit, Health & Safety Executive. 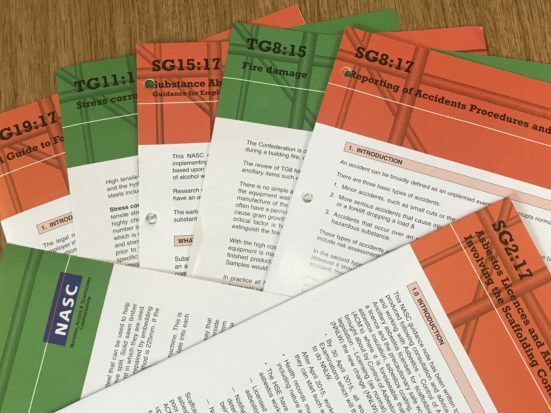 The introduction of the new CPD courses is designed to ensure that all card holding scaffolders (and advanced scaffolders) are kept up to date with the latest legislation and industry guidance, and maintain the highest possible standards of scaffolding safety. “After some initial scepticism ‘it’s a money-making venture’ and ‘I’ve been doing this 30 years’ etc. the majority of the industry are now behind the introduction of the courses and recognise it’s about raising standards, keeping people safe and up to date with legislation and changes within the industry. There has been a lot of time and effort put into creating the right balance and depth of useful content into the two-day CPD course. CISRS are confident it will only serve to strengthen the safety and knowledge of those attending and help to raise the reputation of the trade amongst the wider industry,” said Dave Mosley, CISRS Scheme Manager. CPD courses are now available to be delivered by CISRS-accredited training providers. Six fully funded (free) courses have been offered by CISRS and participating Training Providers National Construction College, LTC Training Services, Safety and Access and Simian Skill across the country. The majority of the course content will be the same for both scaffolders and advanced scaffolders – with the main difference being the scaffold structures used for the practical inspection sessions. * SG4:15 – Inclusive of SG19 and harness training. 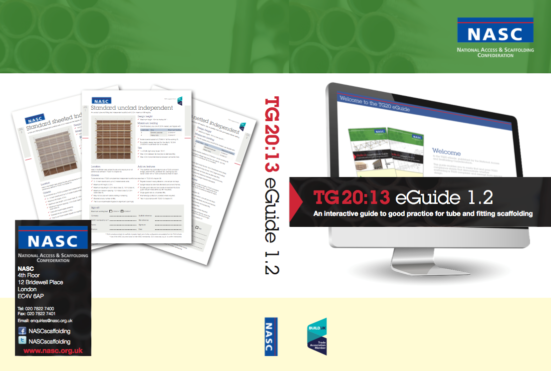 * TG20:13 – Inclusive of masonry anchors. * General scaffolding knowledge testing. * SG6 – Manual handling, inclusive of ropes and wheels and knots. * Trends in accidents and reporting accidents. * Communication – Inclusive of scaffolder responsibilities and behaviour. * Edge protection and roof works. * PPE – Responsibilities of employer. * Incomplete scaffolds – Inclusive of signage and access. * Protection of the public. * Health, Safety & Behavioural Test. The course also offers theoretical and practical sessions on scaffold inspection and aluminium tower modules, which if completed successfully can be endorsed on the rear of the new card and a CISRS Health, Safety & Behavioural Test, which if passed will negate the need for a separate CITB HS&E Test. For a full a list of approved CISRS training providers offering CPD, further details about CISRS card courses, OSTS news, training changes following the introduction of SG4:15 and TG20:13, information and dates on courses available or to find out more about CISRS, please visit www.cisrs.org.uk or email enquiries@cisrs.org.uk for more assistance.